Rooms tell stories. The sun moves across the sky, and from morning to evening, it is a changing narrative. Light shifts. Shadows dance across walls. People come and go.In beautiful rooms, those stories layer in beautiful ways. A well-designed space should make you want to linger long after your business is done. 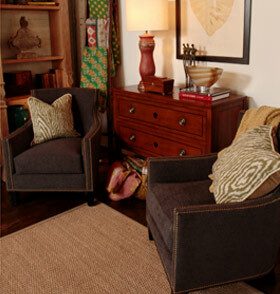 It should open its arms to you, your presence — just like the fabrics and wood grains and artwork — a part of the room’s telling of life happens here.